Ideology Pancasila and the Constitution of 1945, Political (System Administration of the Republic of Indonesia, Central and Local Government System, Political Affairs, Foreign Policy), Economic, Social and Cultural Rights, defense, and law. One of the most important and basic materials tested in the test questions is a matter of Pancasila cpns & Constitution. Pancasila is the legitimate basis of the Indonesian state and the Constitution is the highest constitution upon which state. Each prospective civil servants should have a good understanding of the existence and basic function of the Pancasila and the Constitution. The main requirement of the nation's employees (civil servants) must surely have a good understanding of Pancasila and the Constitution. Therefore, you should seriously learn to master the material so that the Pancasila and the Constitution. Download Exercise Tes Kemampuan Umum Cpns Part I (contains 50 practice questions and discussion of quality), please download latihan soal here and solutions here! Download Exercise Tes Kemampuan Umum Part II (contains 50 practice questions and discussion of quality), please download latihan soal here and solutions here! Based on our observations, during the last 10 years, the number of Pancasila & Constitution in the matter of CPNS test is quite large. Ie in the range of 20% (20 questions from the entire 100 questions). Thus, mastery of English material is very important for you as an applicant CPNS enhancer factor points to compete with other applicants. A team of experts about CPNS has conducted in-depth and thorough research on Pancasila & Constitution materials tested in the test CPNS during the last ten years. Based on these studies, we have succeeded in presenting to you the essence of the questions Pancasila & Constitution that appears most frequently. Core material (major points) of about CPNS Pancasila & Constitution, among others, includes the history surrounding the formation of Pancasila and the Constitution, Status of Pancasila and the Constitution as the state philosophy and ideology. 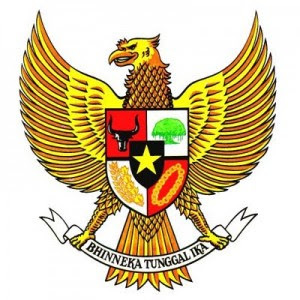 The meaning of Pancasila, the Contents of articles of the Constitution, the Fourth Amendment to the Constitution and several other core materials. The entire material has an certain patterns that you can learn to carefully and efficiently. Exciting news for you, the registrant CPNS. Alhamdulillah Our team is proud to enrichment lessons CPNS Pancasila & the Constitution (the Constitution) 2011. The materials we have developed based on a general lattice CPNS.